When I was 9 years young, I met Willie McCovey in the lobby of the grand, old Rice Hotel in Houston where his San Francisco Giants were staying. I stuck my hand out and tried to look McCovey in the eyes the way my daddy always insisted. But his eyes were so far up there. McCovey reached down and took my hand and just about my entire arm up to the elbow. His hand was thick and calloused and every bit as warm as his smile. My brother Bobby and I met McCovey, Willie Mays, Orlando Cepeda, Juan Marichal, Felipe Alou and all the other Giants stars that day. That night, Davenport had us down in the visitors’ clubhouse at the old Colt 45s ballpark before the game. Later, in the ninth inning, Cepeda hit a soaring home run to win it. My dad predicted the home run just a moment before Cepeda hit it, ending a magical day and evening. 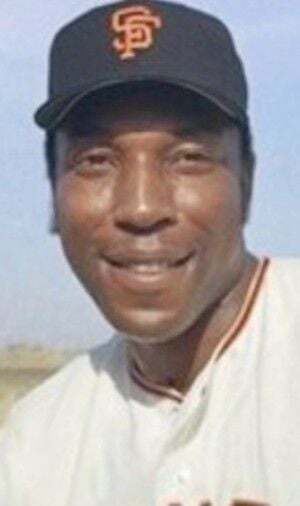 McCovey was a black man from Mobile. Mays, now 87 (and the best baseball player these eyes have ever seen) was a black man from Westfield, near Birmingham. Davenport, McCovey and Mays were all Alabama guys, from segregated backgrounds in the worst days of George Wallace. But they were teammates in every sense of the word. Their respect and shared friendship was palpable – in the hotel lobby and in the clubhouse. My brother and I will remember McCovey for his warmth and his smile. And we will remember how those three Alabama men, from such disparate backgrounds, blended with Latinos to form one of the greatest teams in baseball. We went back to Hattiesburg, to our segregated schools and our segregated baseball and our state governed by Ross Barnett, knowing there was a larger world out there, far, far different than the one we knew.